Elon Musk’s Boring Company, a startup that wants to build an underground network of tunnels in Washington, DC and Los Angeles, plans to sell bricks made of its leftover rock. Musk tweeted on Monday that the bricks could be used to construct low-income houses and other buildings. Other startups have developed similar low-cost construction methods. In 2016, entrepreneur Elon Musk launched the Boring Company with the goal of one day constructing a large urban network of tunnels. The company is working on two projects in the Washington, DC region and Los Angeles. It first broke ground on a test site in LA in late 2017. In order to bore tunnels, construction crews will need to excavate through rock and soil. In late March, Musk tweeted that instead of disposing that leftover earth, he plans to recycle it into interlocking, Lego-style bricks that can be used to build houses and other structures. He tweeted again about these plans on Monday, saying that the bricks will be used for low-income housing. When asked how long the construction of a building using the bricks would take, Musk replied that “two people could build the outer walls of a small house in a day or so.” It’s unclear how much the bricks would cost. The first kit will be ancient Egypt-themed, according to Musk. The Boring Company’s site had already hinted at these plans before Musk’s tweet, and acknowledges that using rock for bricks is not a new concept. A growing number of startups have developed similar systems. In 2016, French architecture firm Multipod Studio unveiled its PopUp House, a customisable home made from stackable blocks that can be built in about a month. Indian architect Anupama Kundoo has also developed low-cost, plaster bricks that can resist earthquakes. 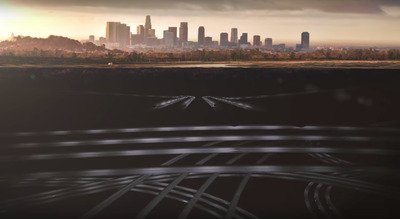 The Boring Company/YouTubeA rendering of the Boring Company’s urban tunnel system. The Boring Company’s website claims that creating bricks would reduce both the tunnelling costs and the environmental impact of its projects (since cement production accounts for over 4% of global CO2 emissions). Musk, who also founded SpaceX and Tesla, says his underground tunnels would serve as transportation corridors that alleviate traffic. The company is still billions of dollars and years away from building its first official tunnel, however. In LA, California’s Environmental Quality Act regulates big construction projects, and Curbed reports that the review process alone could take at least three to four years. 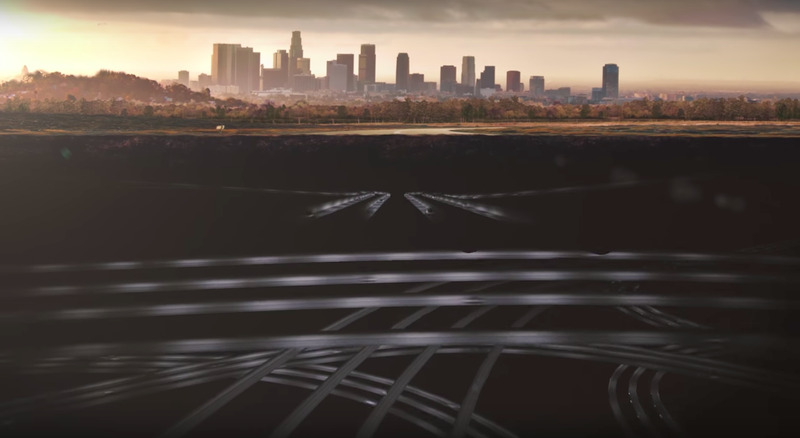 Critics of the Boring Company’s vision, including a number of transportation analysts, argue that improving mass transit systems would be a more efficient (and likely less expensive) strategy toward decreasing traffic. Some transportation experts say that Boring’s tunnels would create even more gridlock. Boring’s first tunnel system would have “thousands of small stations the size of a single parking space” that “blend seamlessly into the fabric of a city,” Musk tweeted. This description sounds a lot like a subway, except with much smaller stations and futuristic vehicles that would shepherd passengers to their destinations.